Being part of MadLab has played a big role in allowing them to succeed in their business. Tanja and Jelger have been part of our community for a few years now. Not only does this couple, who moved here from Belgium in 2014, live together and train together four days a week, they also run an award-winning photography company together. They’re the perfect team: Jelger was a photographer first, and Tanja has the more business type of mind, which has helped them grow their successful business. The biggest key behind their success, explained Jelger is their very clear brand: “We have built our whole business on working with spontaneous and adventurous couples—lots of outdoorsy people. We’re all about giving them a natural experience,” he said. In other words, they ensure their photoshoots—mostly weddings and engagement shoots—are fun, natural and spontaneous, as opposed to feeling contrived and fake. “That’s the most rewarding part of what we do. We have a lot of fun with our clients. We’re all about the outdoors, as well, so we could be friends with our couples, and I think that shows through in our shoots,” Tanja said. 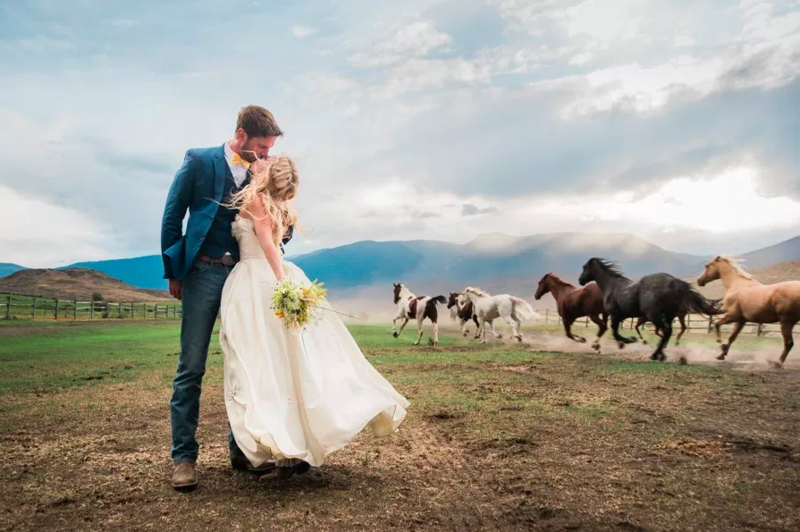 They’re obviously doing something right: A picture the couple took in 2015 of horses running and a bride and groom kissing in front of them went viral and won the Best Wedding Photo Bride and Groom at the BC Wedding Awards the following year. “It’s like the Oscar’s but for photography,” Jelger said of the awards night, where he spoke in front of 400 people. Both Tanja and Jelger agree that being part of MadLab has played a big role in allowing them to succeed in their business. But the fitness they have been able to achieve through working with coach Chesty in the last couple years has made all the difference in combating feelings of exhaustion during a long day shooting a wedding, they agreed. MadLab also helps them mentally and emotionally, Tanja added. “Mentally, it definitely helps with the stress. We work from home 90 percent of the time behind a computer, and we live in a small apartment, so coming here helps a lot,” she said.